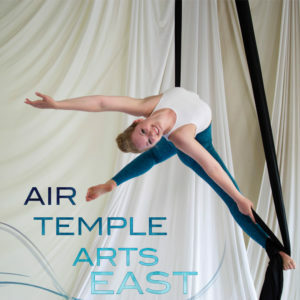 We are thrilled to be offering several aerial silks classes per week at our Satellite Space in East Hampton! Are you looking for the ultimate summer circus experience? 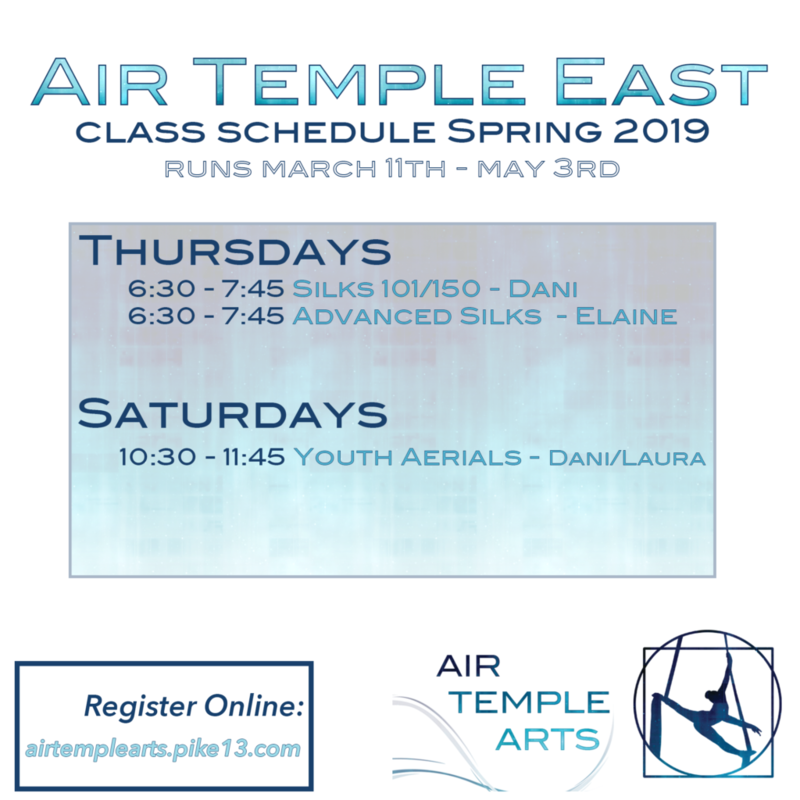 Join us for our Air Temple Intensive Summer Youth Program! 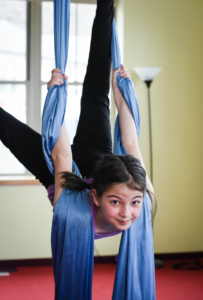 This program is perfect for youth looking to hone their circus skills and beginners looking for a new challenge in a fun environment! This exclusive summer class will run for 90 minutes and includes instruction in a variety of aerial disciplines, including silks and lyra! Class begins with a dynamic warm up and circus games, with the majority of class time dedicated to aerial work and act creation. At the end of the sessions, eligible students will be able to perform in the special YOUTH SHOW! This program will consist of 2 classes per week for a 4 week session. At the end of the session we will be putting on a showcase where eligible campers will be performing acts that they created to create a unique circus experience. The session will start July 12th and run through August 4th, every Thursday and Saturday. Save $25 with code SUMMERCIRCUS when you register before May 1st!